The CLR Atomizer head is a state of the art replacement alternative when it comes to maintaining your eGo One Mega Atomizer. The "R" stands for rebuildable, reusable and rewickable. The CLR Coil Heads have a body design that is unique, allowing you to easily replace the cotton and lets you customize the coil resistance. Another feature that the eGo One Mega CLR Atomizer head boasts is its Liquid Valve Control. This is just what its name implies. 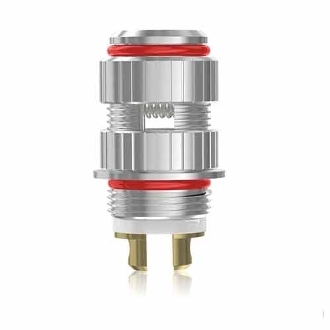 It allows you to adjust how much liquid is fed to the atomizer; all you need to do is turn the ring at the base of the coil head.